Exquisite care and attention to detail goes into each product manufactured by Arcos to create professional knives for every use. A contemporary collection of porcelain and stoneware from Churchill that delivers style, individuality and great value to the hospitality industry. High quality products and comprehensive ranges of cutlery, buffet, banqueting and serving solutions to brighten up your table. With a history dating back to 1889, Ballarini cookware is recognised globally as a prestigious non-stick cookware brand within the hospitality market. Bauscher chinaware lives up to the most rigorous requirements for premium professional tableware. Its durability yields lasting value for many years to come. Bevande enhances your enjoyment of tea and coffee and is a fun addition to your table by incorporating the perfect balance between classic design and modern finish. Commercial quality cooking utensils and cookware are noted for their durability and functionality. Quality kitchenware, dishwashing and storage solutions are essential for all operations within the hospitality and service industry. Chalet provides kitchenware, gadgets, accessories, tools and utensils that are essential for every commercial kitchen. Churchill is a reputable supplier of superior quality ceramics. They have the highest standards for presentation, practically and performance of their hospitality tableware. Crown® has built a long history and established a strong reputation for marketing quality glassware at competitive prices. Duraceram is the definitive dinnerware range for catering and hospitality. Strong and solid, it is very popular with cafés, restaurants and bistros. Eclipse’s fluid shape and ultra-white body create a superb contrast for culinary presentations. Its wide-rim, chip resistant quality porcelain provides generous serving space for your creations. Our exclusive commercial grade range of non-stick bakeware will suit all your baking needs. Specialising in creating unique tabletop designs for luxury hotels and restaurants as well as prominent retailers. Colombia’s gift to the world’s most demanding cooks. Hand crafted, eco-friendly and multi-functionality enables use for oven and stovetop cooking. LAVA enamel cast iron pots and pans are made of the highest quality cast iron. Premium glassware focused on great design, Italian craftsmanship and cutting edge technology, the Luigi Bormioli range has a glass for all occasions. When you buy Luzerne New Bone, you can be sure you’re getting a product that has been made with quality materials by expert craftsmen. Contemporary dining ware, serving ware and presentation pieces inspired by modern architecture and design trends. One of the world’s leading glassware manufacturers, providing an extensive range of quality glassware for over two decades. Oneida is a natural leader in cutlery design, utilised by fine dining establishments, family restaurants, and hotels across the globe. Stunning crystal and glass produced in Turkey since 1935, Pasabahce is one of the largest glass producers in the world with a reputation for excellence. Virtually unbreakable, durable and reliable Polysafe is made from the highest quality food grade polycarbonate, this drink ware looks and feels like the real glass equivalent. Tradition and innovation makes Pujadas a leader in the manufacture of kitchenware and kitchen utensils for the foodservice industry. From classic to contemporary, this range will create a luxury finish with high durability for the ultimate fine dining experience. Our glasses are produced to a high standard of quality, design and durability that offers a glass for every taste and occasion. A quality vitrified porcelain with an extensive range of shapes and sizes that is both affordable and durable. The epitome of opulence and quality, each pattern is made with heavy gauge stainless steel and finished to the highest standards. 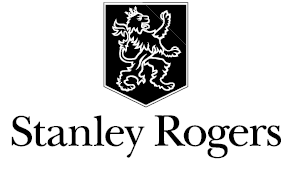 Stanley Rogers has stood as a mark of excellence since 1930, setting tables with high quality and beautifully created cutlery pieces. Specialising in manufacturing of catering products, Sunnex is known worldwide for its quality and value. Offers a functional and dependable range of crockery and cookware that is perfect for everyday use. The cold food display system is a modern, efficient ways to keep food cold, without electrical cords or ice. Highest quality products featuring innovative designs that contrast the industry’s traditional trends. An iconic Australian brand, well established in kitchenware and household products it has been synonymous with quality, reliability and value-for-money for over 65 years. Quality acrylic presentation products that will enhance any buffet or counter display. An exciting range of reactive coloured ceramic pieces that have their own appearance which enables a creative canvas for any chef.